So since I have declared April a no eating out month for me, I think I might have cheated! Sleepless nights and having everything in packed boxes that weren't labeled (oops!) means, I couldn't find my coffee grinder and maker. So what did I do? I went to Starbucks, which is dangerously located within a 7 minute walking distance! Does coffee count? Since HoneyB and I have been on this savings kick, I stopped significantly decreased by Starbucks intake and brew at home instead. But I didn't really have a choice...or did I? I'll let you be the judge. To battle the temptation to eat out, I have to have prepared snacks and meals on-hand whenever HoneyB and I are hungry. One staple of mine are kale chips, I posted about here. I think they are the perfect alternative to potato chips or other salty snacks! Another dish I keep on hand is whole-wheat pasta salad. It's quick to mix up a big bowl, eat it throughout the week and take some for lunch. Haven't gone to the grocery store, but need to whip up a quick bite? Pasta salad! I've literally thrown a salad together with whatever I have in my pantry and fridge. That's a beauty of it all! This﻿ one in particular is very easy. I just used what we had in the pantry, which wasn't much because of the move. After pasta is cooked and drained, drizzle with 1/4 cup ceasar dressing. This will help the pasta soak up the flavor and not stick together. Place in fridge to cool. Chop broccoli into bite-size pieces. 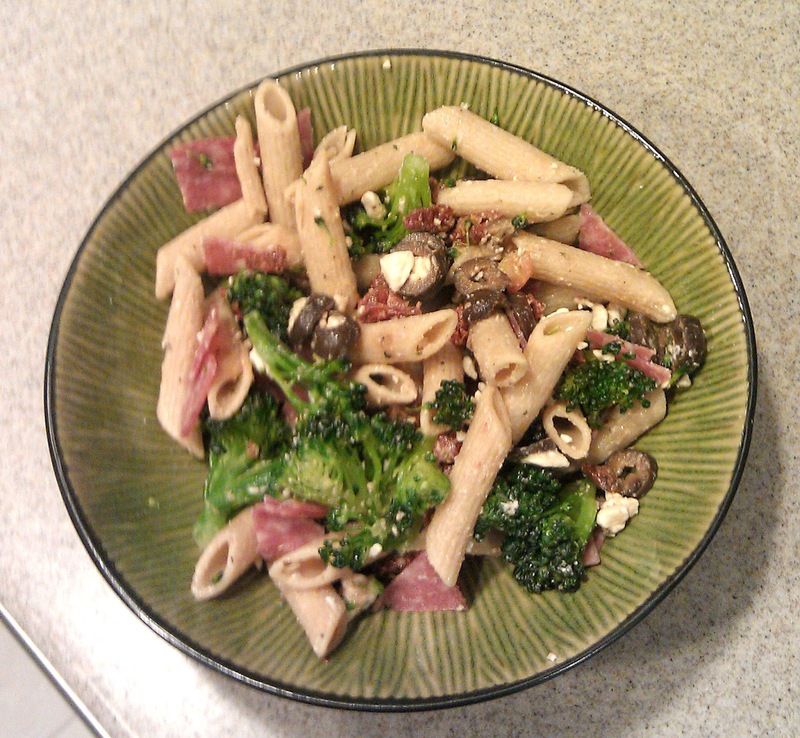 After pasta has cooled, add broccoli, olives, sundried tomatoes and cheese. Toss to combine. Drizzle remaining ceasar dressing. Toss to combine. I like to add a little bit of a tang, so I add basalmic vinegar and olive oil to taste. I don't always want meat in my salad, so I just keep the chopped salami in the fridge to add to the plates as we go. 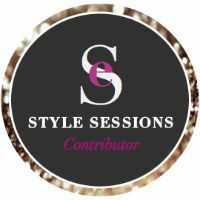 What are easy recipes that you use? Do you think I cheated by going to Starbucks? Maybe a little, but everyone's gotta have a cheat day once in a while right? :) I think the cutting back is what counts! I love finding good simple pasta salads that I can make ahead of time & not have to worry about cooking at the end of the day! The flavors in this pasta sounds great!! Thanks so much for sharing this at Wonderful Food Wednesday Rikki!